Since May Sage One Start customers have been using our 4.5 star rated iPhone app Sage One Expenses to manage their expenses on the go. From today, we’re delighted to announce that the Sage Expenses app will have invoicing functionality added to it. This means that you will be able to produce invoices anytime and anywhere all from your iPhone. As a result, we are changing the names of the app to Sage Expenses & Invoices. • Send invoice to your customer. • Record payments against invoices. • Track and manage unpaid and overdue invoices. • Find Invoices quickly to answer customer queries. • Review and manage all of the invoices and transactions for each of your contacts. This new functionality will seamlessly integrate with a paid Sage One Start subscription and will be a key tool to help sole traders, independent business and start-ups succeed in a modern economic climate. 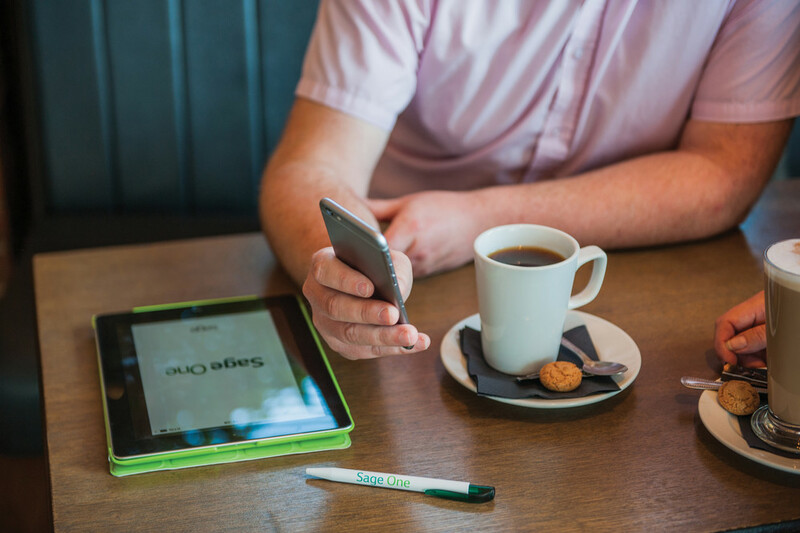 Watch this short video and see how businesses like yours are benefiting from the Sage Expenses & Invoices App . Download the iPhone App from iTunes today.